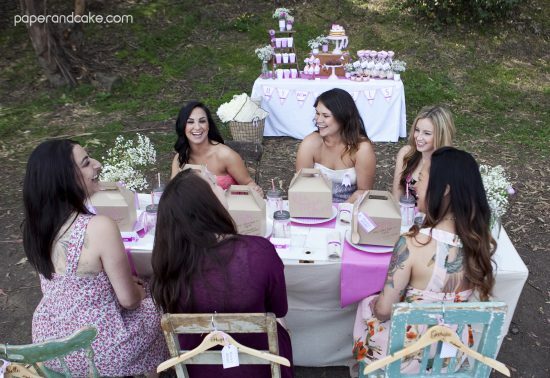 Have you ever heard of a Bridesmaids Ask? 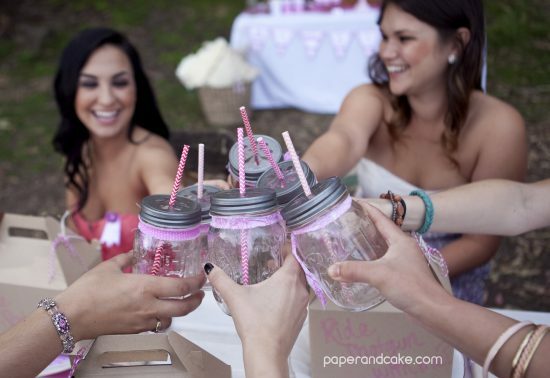 Well, its exactly as it sounds… a party or event you throw in honor of your Bridesmaid hopefuls, asking them to be a part of your special day. 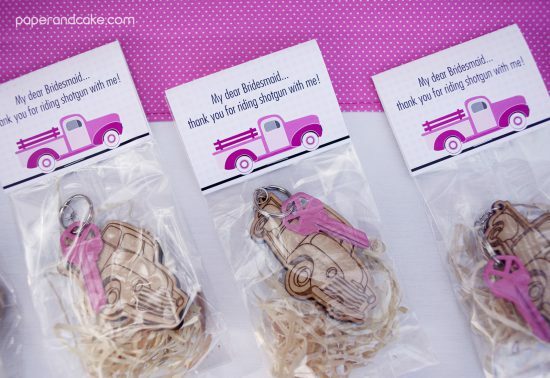 What better way to ask them to take this journey with you than to “Ride Shotgun” with you?! 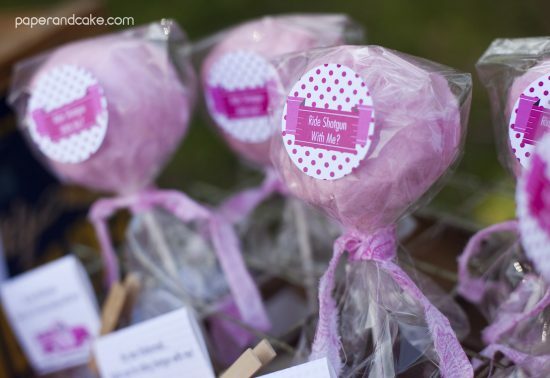 This party has everything a girl could want: Pink. Check. Retro. Check. 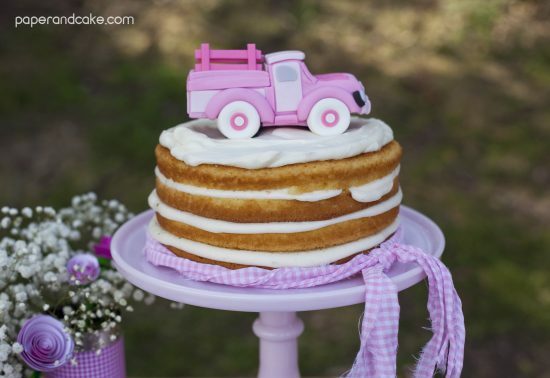 Pickup Truck…. ok that might be a special kind of girl, but its so stinkin cute, who wouldn’t love it?! 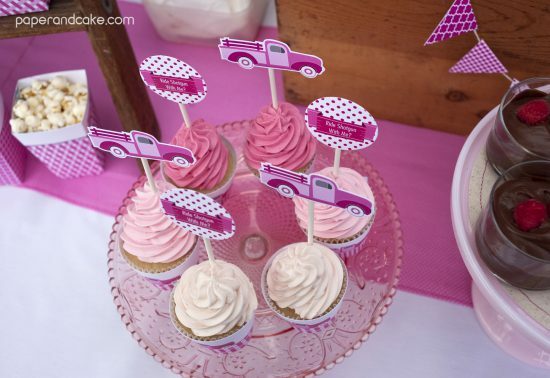 We began with one thing, a darling illustration of a vintage Pink Pickup Truck. 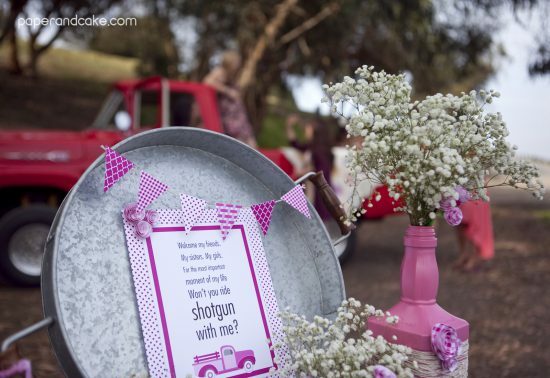 We knew a vintage-retro feel was ultimately what we wanted to achieve so we incorporated some modern patterns and shabby-chic elements and it all came together perfectly. 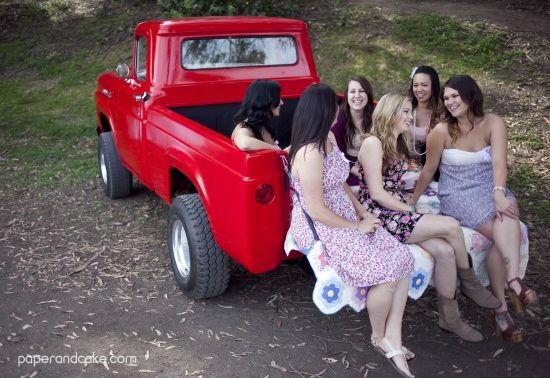 Our lucky girl and her best girl friends hopped into her pickup truck, put some mud on the tires, and headed to the country for a little afternoon picnic. We took your traditional blanket picnic, and upcycled it a bit. 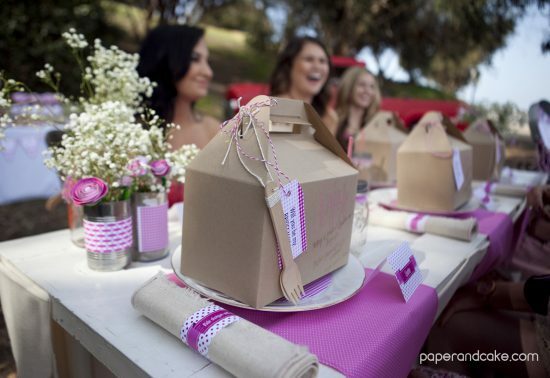 A gourmet lunch was served in individual gable boxes atop a shabby chic country table made from an old door. 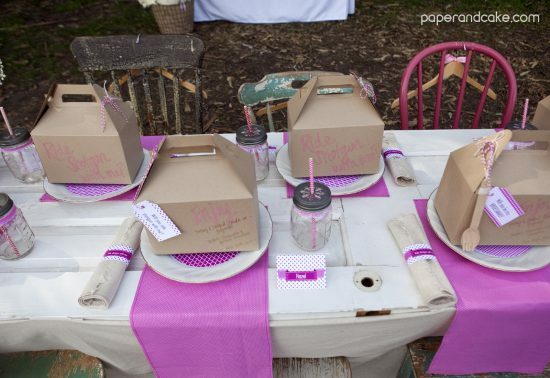 Mismatched colorful chic chairs from Found Vintage Rentals were the perfect addition to the table. 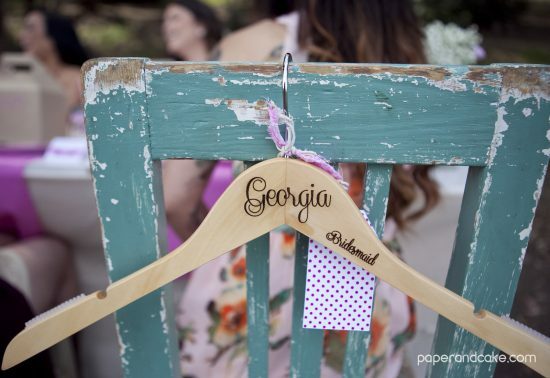 Each bridesmaid received personalized dress hangers from Delovely Details. Tons of handmade paper flowers and baby’s breath were added to just about every detail, keeping it simple and sweet. No party is ever complete without an over the top dessert table! 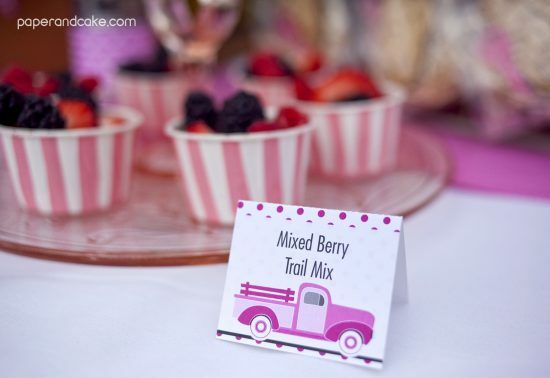 Vintage serve ware and old tin cans created a base for some delish items like, Berry Trail Mix, Ombre Pink Cupcakes, Cotton Candy Lollipops, Chocolate Mousse Cups, and Kettle Corn. The highlight of the tablescape was by far the matching fondant Pink Pickup Truck sitting atop a rustic homemade layer cake. 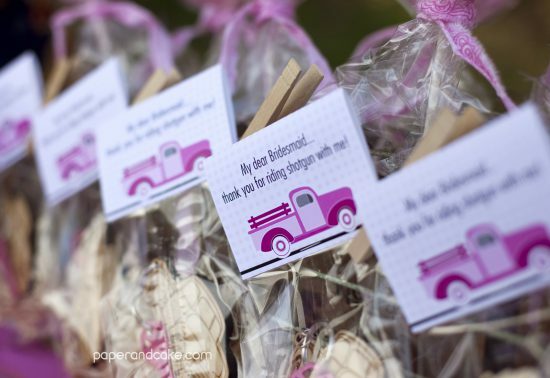 After their luncheon, our Bridesmaids each went home with a personalized wooden Pickup Truck key chain and a spot in our lucky girl’s wedding. This Pink Pickup Truck party was the perfect “girly” and intimate setting for the bride-to-be to ask her favorite girls to Ride Shotgun with her on her special day. Or choose “WE PRINT” and we’ll do the work! 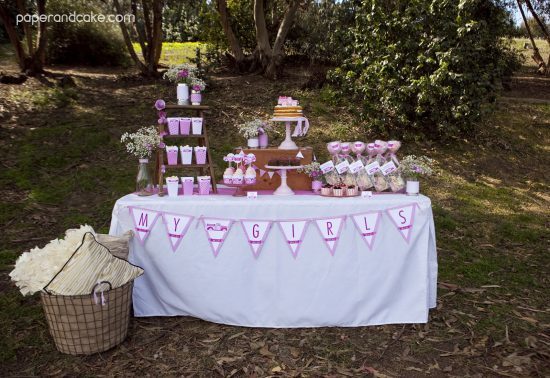 What gorgeous details…and those cupcakes look amazing! 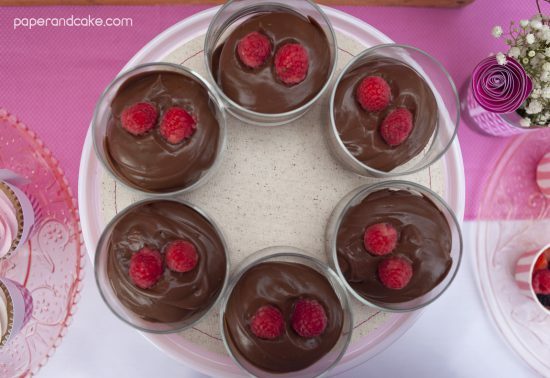 Lovely!!! 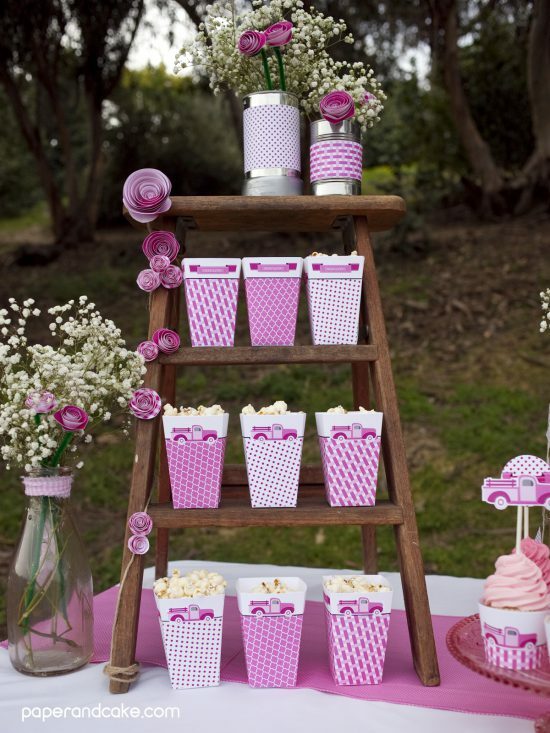 Really nice party idea! OH my this is so stinkin’ cute. I love the hangers and the favors. LOVE it!